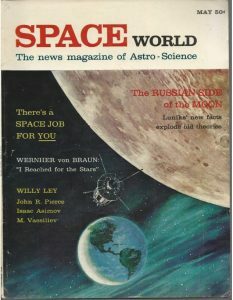 Space World May 1960 | Critical Enquiry - Deconstructing pseudohistory since 1999! Issue has been scanned with OCR software, making it searchable for text and phrases. Due to the variability of OCR accuracy, no warranty is expressed or implied regarding the ability to successfully locate specific words or phrases in the texts. Purchaser agrees to use the download for personal use only, and agrees not to redistribute, republish, host, copy, lend, or otherwise distribute the downloaded issue to any other parties. Critical Condition, a blog (and hopefully more!) about interesting incidents and myths from history, is finally back online after an extended hiatus. I hope to bring more content out in a fairly short amount of time. The first new article, Hallowe'en themed in true Gothic style, talks about fears of premature burial and other horrors in the Victorian era. Enjoy!